Posted by utechalumni in Alumni Events, Alumni in Business, Alumni News, Alumni Relations Office, UTech Events, UTech News. The University of Technology, Jamaica is pleased to present Alumni of distinction who were successfully nominated for the Outstanding Alumni Award 2019, in celebration of the University’s 60th Anniversary. The awards were presented to the 19 recipients on the occasion of the Presentation of the Chancellor’s Medal and the Outstanding Alumni Award, on Thursday, 28th March, 2019 at the Papine Campus. Also worthy of note was Elaine Thompson, Olympic Medalist, and Double Olympic Champion, who received the most prestigious award of our University, the Chancellor’s Medal. Chancellor’s Special Recognition Awards were given to the Jamaica Hotel and Tourist Association (JHTA) and the Jamaica Tourist Board (JTB). Posted by utechalumni in Alumni in Business, Alumni News. Posted by utechalumni in Alumni in Business, Alumni News, UTech News. “Last night at the Annual JMEA (Jamaican Manufacturers & Exporters Association) Awards Gala, my company True Shade Cosmetics Ltd won the Peter King New Exporter Award! We are forever thankful for the support of our healthy cosmetics as we change the beauty game by enhancing beauty without compromising health. Special thanks to our international clients, we could not have done it without you! Want Your True Shade in your country?” – –Dianne A. Plummer, MSc., P.E. Posted by utechalumni in Alumni in Business, Alumni News, Uncategorized. Perishables Jamaica Ltd. (PJL) commenced operations in October 1980. The company manufacturestisanes, commonly known as herbal teas using authentic Jamaican raw material. The tea bags are currently available in 15 herbal flavours under the TOPS brand; some of which include ginger, ginger mint, ginger lemon grass, and sorrel with ginger. The Mount Olivet Boys’ Home is poised to establish a herb farm, following the donation of plants and a proposal for purchase of the harvest by local tea manufacturer, Perishables Jamaica Limited (PJL). “We’re planting the seed and will watch it grow, and reap and create a good herb farm that we can build a long-term business relationship from. We do this on an ongoing basis across Jamaica,” PJL managing director, Norman Wright, said. Wright, who handed over rosemary and peppermint plants to the Home recently, was upbeat about the prospects of the project and informed that the company buys herbs from farmers, and “based on our knowledge of the environment here at Mount Olivet, they will prosper here”. CLICK FOR FULL GLEANER STORY! Posted by utechalumni in Alumni in Business, Business Development. Posted by utechalumni in Alumni in Business. Melarka graduated from the University of Technology in 2007 with a Major in Electrical Engineering and a minor in Communications and Electronics. Posted by utechalumni in Alumni in Business, Uncategorized. Shuancie Barrett is a graduate of The University of Technology, Jamaica, with a Bachelor’s in Business Administration majoring in Accounting and a minor in Finance. She graduated in November 2015 with an upper second class degree and was the recipient of UTech Jamaica’s Internal Audit award in April 2016. Shuancie Barrett is a graduate of The University of Technology, Jamaica, with a Bachelor’s in Business Administration majoring in Accounting and a minor in Finance. She is a proud member of the Class of 2015. Her company, Shauncie’s Tutoring Service, will be hosting an Investment Seminar for beginners on April 8, 2017, at UTech, Jamaica Papine Campus, Room LT 10A, 1 – 4 pm. Posted by utechalumni in Alumni in Business, JOB VACANCIES. Shuancie Barrett is a graduate of The University of Technology, Jamaica, with a Bachelor’s in Business Administration majoring in Accounting and a minor in Finance. She graduated in November 2015 with an upper second class degree and was the recipient of UTech’s Internal Audit award in April 2016. Dionne Morrison is a Business Strategy Consultant, providing support to clients who are interested in growing their businesses. She graduated from UTech, Jamaica in 2010 with a Masters in Business Administration, Finance specialization. The name Stephen Hamilton has become a well-known one in the Jamaican food industry. The 25-year-old graduated from the University of Technology, Jamaica in 2012, where he majored in hospitality and tourism management and is now the CEO and head chef at his own company, Eskay Caterers. Hamilton is equipped with both the drive and the skills needed to make it big in the local food industry. Indeed, he has already made his mark on numerous culinary competitions, and demonstrated his prowess for a fair share of celebrity clients, including Prime Minister Portia Simpson Miller, international recording artiste NeYo and Olympian Usain Bolt. NOTE: The University of Technology, Jamaica (UTech, Ja) shares career and other opportunities on this blog, sourced from non-UTech, Ja entities and organizations, based locally and overseas. This is done as an information service to its alumni community and other users. UTech, Ja is not responsible or liable for any loss or damage, personal or otherwise from the use of said information or any inappropriate use thereof.. UTech, Ja does not guarantee that your participation in any of the activities referenced will be a good and safe decision for you. It is expected and understood that users of the blog will do their own research and proper due diligence, to determine what is a profitable and safe opportunity, before committing to any action. The use of the information is at your own risk. Posted by utechalumni in Alumni in Business, Alumni News, UTech Events, UTech News. Posted by utechalumni in Alumni in Business, JOB VACANCIES, Money Management, Professional Development. Posted by utechalumni in Alumni Events, Alumni in Business, Alumni Relations Office, UTech Events. Posted by utechalumni in Alumni in Business, Business Development, ENTREPRENEURSHIP, JOB VACANCIES. The internet presents a viable O P P O R T U N I T Y for you to create full-time income or supplement existing income. As with all things which touch and concern your life, we encourage you to fully research, investigate and verify all opportunities before investing your emotions, time and money. An increasing number of Jamaicans have been harnessing the power of the internet quite successfully and also teaching others how to do the same. Below we share the names of some experts we have heard about and encourage you to reach out to them, and others you may know of and examine if what they have to offer can work for you. Posted by utechalumni in Alumni in Business, ENTREPRENEURSHIP, JOB VACANCIES. Pioneering Consultancy Company Ltd represents the collaboration of a group of alumni of the University of Technology, Jamaica Lt. Read more below. In addition to clients who desire our services, we are looking for Business Associates. 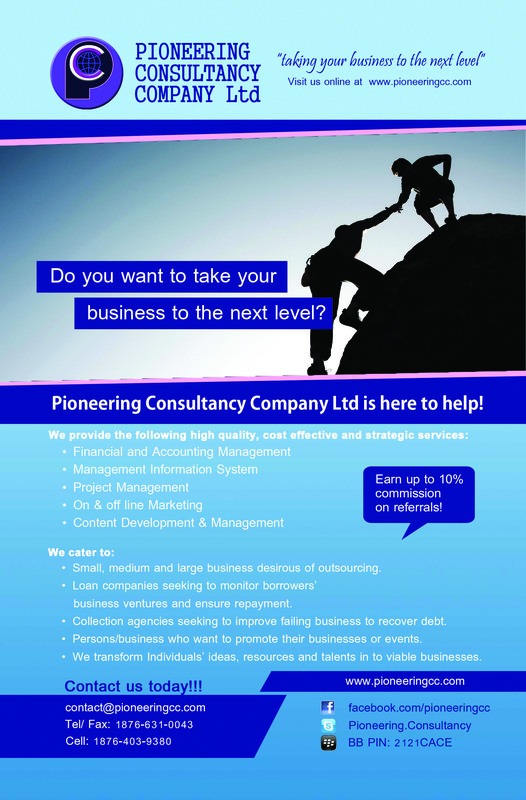 You may contact us directly at contact@pioneeringcc.com / c: 876-403-9380 as we will offer the necessary training, guidance and exposure to our marketing plan where necessary. Posted by utechalumni in Alumni Events, Alumni in Business, Alumni News, Alumni Relations Office, PHOTOS. 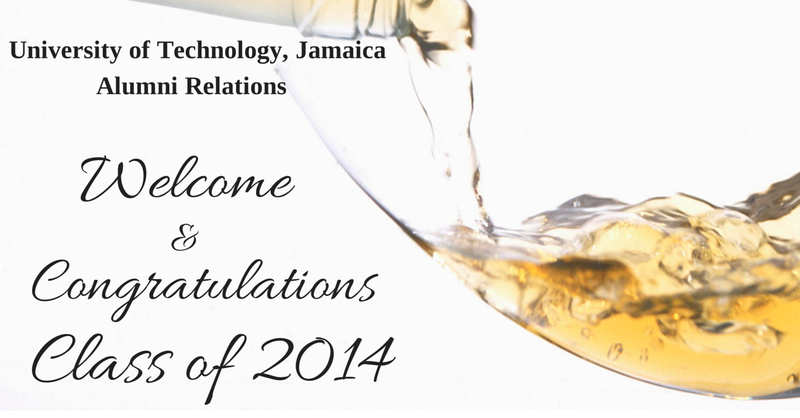 On behalf of our over 48,000 graduates, the Alumni Relations Office of the University of Technology, Jamaica extends a warm welcome to all members of the Class of 2014. You are now valued members of the Alumni Community and we look forward to remaining in contact with you, and supporting you in practical and value adding ways in your ongoing personal and professional development. In addition, we look forward to receiving your support to ensure that UTech continues be a strong leader in the education sector locally and regionally. Please see below for additional information on Alumni matters at UTech and the various online sites that we have created with you in mind. Do bookmark this blog and check it often for UTech and Alumni news and updates, and especially job alerts which we receive from private and public sector organizations. The first member of the Alumni Community to contact us at cmessam@utech.edu.jm including his/her name, cell number, course of study, and graduation year, will receive free entry to the Expo. 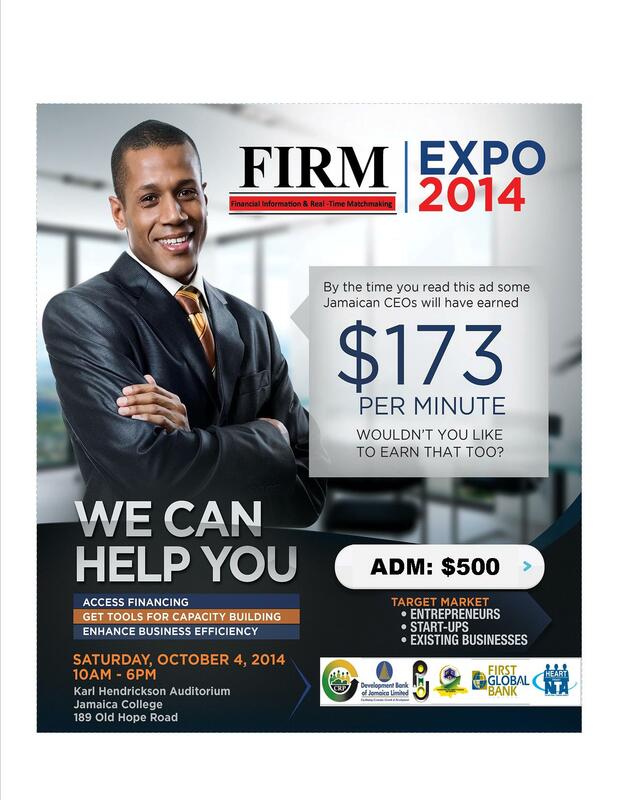 Kindly insert “FIRM Expo Interest” in the subject line of the email. Tamika Barrett, Spa Manager at Totally Male Club Spa and Salon, is a UTech Alumna of the Class of 2013. She has a BSc in Hotel and Resort Management from our School of Hospitality & Tourism Management. 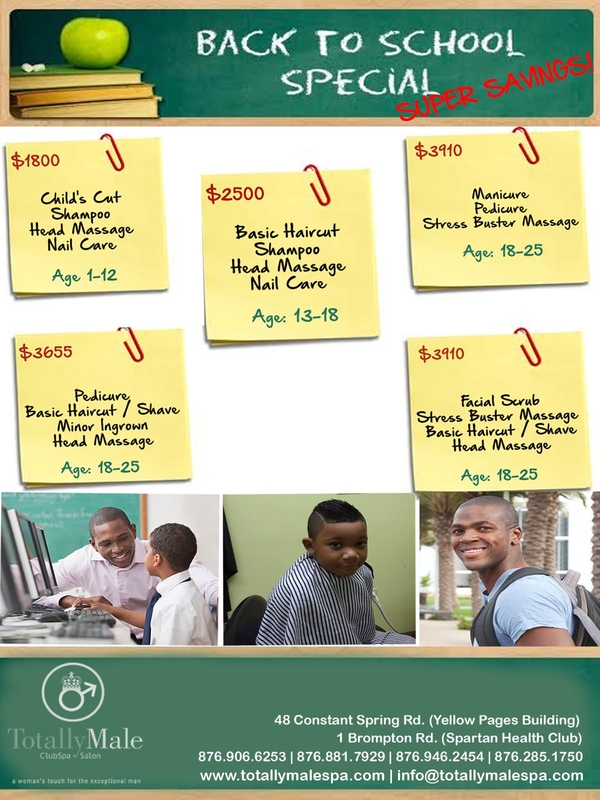 Tamika is pleased to share with our Alumni Community Back to School Specials at Totally Male! Posted by utechalumni in Alumni in Business, ENTREPRENEURSHIP. Keera Cosmetics, is managed by Coleen Davis ‘ 2015. 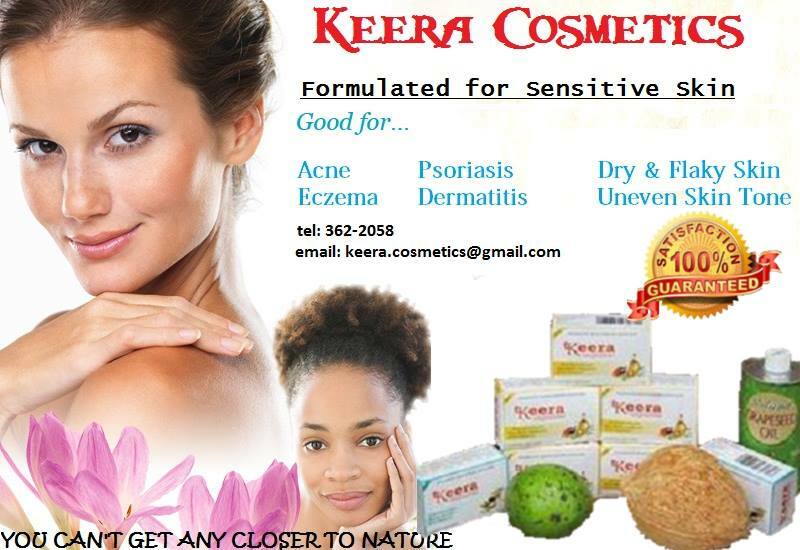 It is a health based company that uses 100% natural ingredients to treat acne, eczema, dermatitis and other skin conditions.